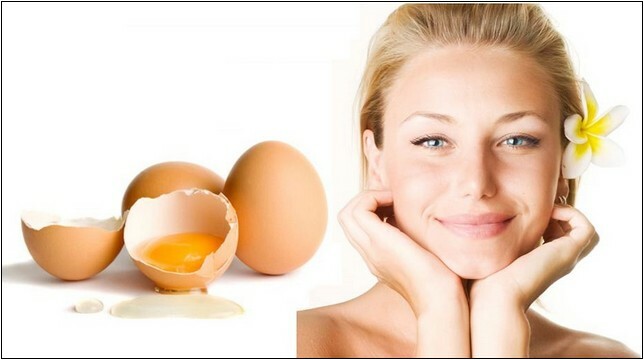 Not only for consumption, the egg white part is also often used in the beauty field to be used as an egg white mask. Don't like egg white? Try thinking about it again. Egg whites not only provide benefits and nutrients for the development of the embryo of the owner, but also for us eaters. Sleepless. Egg white is thought to be able to overcome the problem of sleeplessness. This is all thanks to the content of serine in egg white, which is an amino acid that regulates blood sugar levels and works like a mild sedative. Blood pressure. According to some studies, egg white is thought to help reduce blood pressure. His ability is even equivalent to low-dose high-blood pressure-lowering drugs. What makes egg white so powerful? None other than not because peptides, one of the proteins in egg white, can inhibit the production of enzymes that increase blood pressure. In fact, if egg whites are combined with drugs, the ability to combat high blood pressure is thought to be multiple. Cholesterol. A large egg contains a total of 186 mg of cholesterol. But, all of the cholesterol is in the yolk. While egg white actually proved to contain no cholesterol at all. This part of the egg is even a very good source of low fat protein. But unfortunately, protein in egg whites can also cause allergies. Babies can suffer an allergic reaction to egg protein in breast milk if the mother eats eggs. Many people believe that an egg white mask can reduce acne and blackheads and help moisturize, nourish, and tighten facial skin. Curious to prove its usefulness? This is an easy and fast egg white mask recipe that you can make yourself at home. Separate egg whites with egg yolks. Then put the egg white in a small bowl. Mix lemon juice into egg white. By using a fork, shake the egg white and lemon juice until well blended and foamy. Then add honey and shake again until smooth. Wash your face with warm water so that the open pores and the egg white mask can be absorbed properly. Then apply an egg white mask to the face. Avoid sensitive areas around the nose, mouth, and eyes. Leave the egg white mask for 10 to 15 minutes. Finally, wash the egg white mask with warm water and dry the face by patting clean towels. But unfortunately, there is no scientific evidence that justifies or refutes claims about the benefits of egg white masks for the skin. If your facial skin becomes red and feels sore after applying an egg white mask, it is advisable to immediately see a dermatologist.